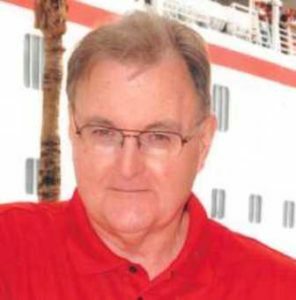 Northbridge/Grafton – Paul F. Bugbee, 74, passed away Feb. 9, 2019 following complications from esophageal cancer. 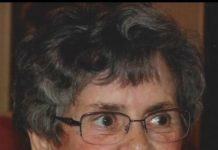 He leaves his wife of 51 years, Barbara (Vigeant) Bugbee; his daughter, Tammy Stachura and her husband Frank; brother James Bugbee Jr. and his wife Alice; his sister, Joan Germain, and twin sister Pauline Mahoney; and many nieces and nephews. He was predeceased by his sister, Phyllis Kiley-Shearer, and his brothers-in-law, Albert Germain and Patrick Mahoney. Paul was born July 14, 1944 in Webster, son of the late Ruth (Miskell) and James Bugbee Sr. His roots were in Oxford, but he lived in Northbridge for more than 40 years before recently moving to Grafton. Paul was a veteran of the U.S. Army having served during the Vietnam War. He was happiest with this family by his side, taking a cruise with his wife Barbara and his daughter Tammy and her husband. When the spring and summer arrived his enthusiasm for his John Deere Tractor never waned over the years. His family would like to thank Lisa Gibbs from the St. Vincent Hospital Cancer Center and his team of caring nurses from The VNA Hospice Care organization. Please honor his memory with a donation in lieu of traditional remembrances to the St. Vincent Cancer Center, c/o Donna LaCerte-Blais, Suite 25, 1 Eaton Place, Worcester, MA 01608 or VNA Hospice and Palliative Care, 120 Thomas St., Worcester, MA 01608. All are welcome to gather with Paul’s family Thursday, Feb. 14, from 9-11 a.m., at Roney Funeral Home, 15 Worcester St., North Grafton, followed by a prayer service in the funeral home. He will then be laid to rest at St. Phillip Cemetery in Grafton. A Book of Memories to share a favorite story or message of sympathy with his family is available online at www.RoneyFuneralHome.com.